Annual Function Night: Proudly Sponsored by NEW ENGLAND COLLEGE. 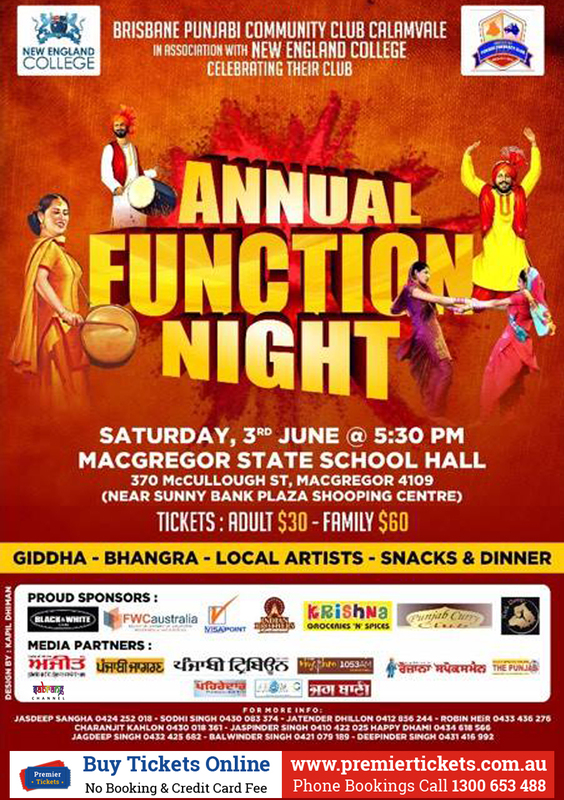 This event full with lots of fun activities like Giddha, Bhangra, Local Artists, Snacks & Dinner. So come and enjoy the Punjabi culture, best food with your family and friends. Its complete family event. Activities during the event with the support of New England College.